Access to the internet isn't a luxury, it's life-changing. But right now, like poverty, it's sexist. Women and girls living in the world's poorest countries are 31% less likely to have access to the internet than boys and men - and the gap is increasing. For many of us, the internet is something that's taken for granted. Yet for millions of people, an internet connection goes beyond organising their lives, it can provide life saving information. 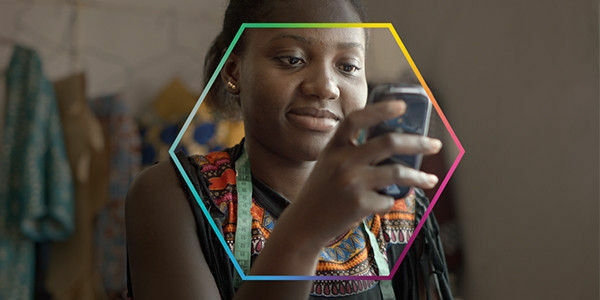 We need world leaders to commit to an ambitious plan to connect 350 million women and girls in the least developed countries by 2020, deliver affordable access, and ensure that they have the skills, education and literacy to use the internet. Take action now for a connected world. I believe internet access is essential for achieving humanity's potential. The internet is critical to sharing new ideas, fighting injustice, and helping create new jobs - with it people can achieve extraordinary things. But, over half the people on this planet don't have access, especially women and girls. The internet belongs to everyone. It should be accessible by everyone. I call on leaders and innovators from all countries, industries and communities to make universal internet access a reality.